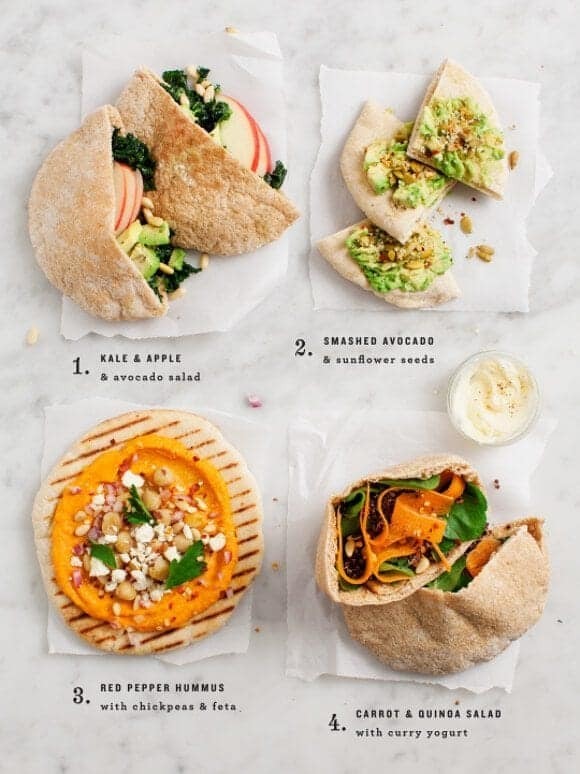 These 4 easy pita recipes are great packed for healthy lunches! All are vegetarian - prep the components ahead of time for a fast, delicious midday meal. There’s a category that’s seriously underrepresented on Love & Lemons: lunch. Lunch, for me, is the meal that happens in between all of these recipe posts. It’s usually a quick throw-together meal that utilizes a previous night’s dinner and/or an assortment of random on-hand ingredients… (ie. a half of an avocado, a few leaves of kale, leftover quinoa, an opened container of greek yogurt). I love a big lunch salad, but when I don’t have enough greens & things to make up a full meal, I take what I do have and put it in (or on) a pita. 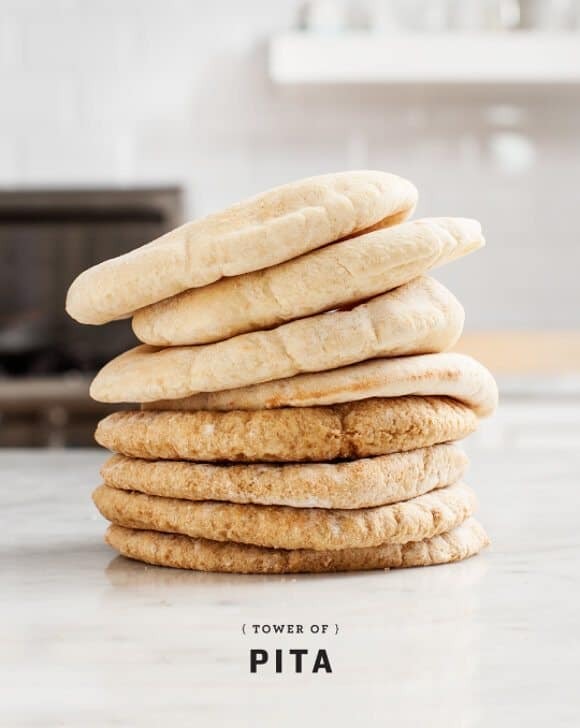 I keep these Stonefire pitas on hand, usually in my freezer for easy access – they reheat and toast up perfectly. (And yes, they are sponsoring this post, but I’ve seriously been buying their pita and flatbread for years). For more lunch inspiration, check out this post that’s full of Healthy Lunch Ideas. These 4 easy sandwich recipes are some of my go-to quick, healthy lunches. They're great for packing up and taking on the go, and with 4 options, your lunch rotation will never get boring. For the Kale & Apple Salad: Chop the kale. Massage the leaves with olive oil salt and pepper until the leaves are tender. Add a bit of dijon mustard and a good squeeze of lemon. Mix with diced avocado, sliced apples, and toasted pine nuts. Stuff in pita. For the Smashed Avocado & Sunflower Seeds: Slice avocado and add a bit of lemon juice, salt & pepper. Use the back of a fork to mash it into the pita. Top with seeds. For the Red Pepper Hummus with Chickpeas & Feta: Blend all hummus ingredients together, set aside. Drizzle pita with olive oil and grill on a grill pan. 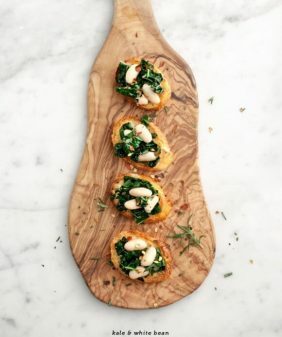 Slather with hummus and top with chickpeas, red onion, feta, pine nuts and parsley. Top with a few red pepper flakes. For the Carrot & Quinoa Salad: Mix quinoa with olive oil, lime juice, cumin, currants, salt & pepper. Toss with carrot ribbons and watercress. Mix yogurt with lime, curry powder, and salt. Stuff salad in pita and top with a dollop of curry yogurt. Keep your avocado un-sliced until you're ready to use it - and if you're storing a half-avocado, keep it in a plastic bag with part of a sliced onion to slow down the browning process. Make a big batch of the quinoa salad, serve it with a protein for dinner and reuse the leftovers for lunch all week. This post is sponsored by Stonefire, all opinions are our own. Thanks for supporting the sponsors that keep us cooking! i love pita bread. always makes a good lunch and there is always something in the fridge to whip up and make a delicious pita sandwich. i am definirely going to try your combos soon. Thanks Maureen! They definitely turn barely-a-meal leftovers into quite the filling lunch! I’m always looking for easy lunches. I like the idea of using pitas. I need to stock up a few bags in my freezer. The carrot and quinoa salad sounds really yummy, especially with the yogurt. Thanks Janel, let me know if you try it! This is the most artistic set up of lunch ideas I have seen to date. My fave of the bunch is the avo and sunflower seed combination; full of healthy fats that we all need in our diet. Also I love how this idea are done one staple pita;. You have completed a week worth of thinking about lunches in one go! Thanks Belinda! (It was a trick to get these all looking nicely in one shot) 🙂 Avo & sunflower seeds is definitely a fave of mine! I like all these ideas! So much colour for lunch! Love your flavor combinations. 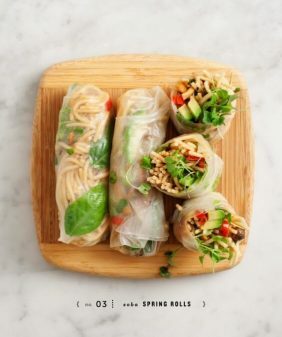 Will be making these for lunch. Thanks! # 2 = my dinner tonight. thanks for sharing this. Gorgeous photos, as always! What a great solution for leftover quinoa, a frequent problem of mine. These look soooo good, definitely pinning them and trying some of them next week! Hi Sarah, sure thing – I’m obsessed with curry yogurt, it’s so quick and easy – hope you like! Thank you for the onion trick with storing avocado halves! I didn’t know that! 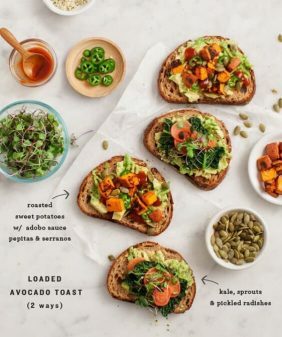 I almost always have half an avocado in the fridge, so I’ll definitely be trying that. Yum! I love pitas! I will have to try these out. Thanks for sharing. Pitas and Naan are my favorite lunch breads. These ideas are awesome! I cannot wait to try a few of them out soon! Love all your stuffing ideas! So creative + delicious. Thank you–will use next time! THANK YOU! This is exactly what I needed to plan my lunches a bit better! I am working from home and sometimes I just don’t have inspiration for lunch. Or I have too many and start cooking an over-complicated meal that will take me hours and I’ll end up eating late, not being hungry anymore, and being angry at myself for all of that… So when I feel this kind of mood I cook some pasta, that’s always a win! 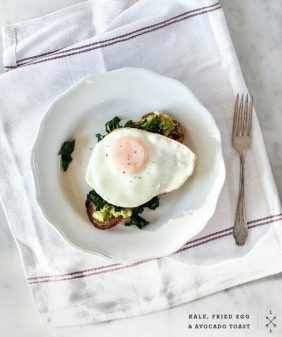 But sometimes I want a quick and fresh meal, someting crunchy, or creamy like hummus (that I LOVE but never know how to use…), something that I can eat in front of my computer when I have some work to do, and these ideas are just perfect for that! I’m going to fill my freezer with pita! You’re welcome! I totally hear you… Even though it took some planning for me to put together this post, I’m actually really terrible at heading to the store and pre-planning meals. I find it’s easy to get creative when I just make sure I have some kind of green, some kind of crunchy thing, some kind of protein, and something creamy (and then in this case, pitas!). I came across this on Pinterest, so naturally I ran to Bloglovin to comment. Not sure why but anyway.. I love this! Pita are so underestimated and lunch is always my “big” meal. Thanks for the wonderful ideas for lunch. Love the look of the kale and Apple pita. 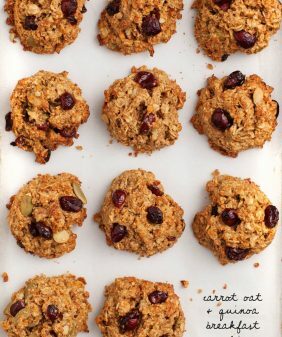 I have some neglected pita in my freezer right now that I keep meaning to use up…these are some great ideas! My semester just started (last semester, eeeps!) just started, and I’ve been worrying about quick bag lunches. Your post couldn’t have come at a better time for me. The red pepper hummus, in particular, sounds delicious (they all do, but that one is the most appealing to me at this moment). These look divine! Your photos & ideas are fabulous! I’ve never seen those pitas…what’s the ingredient statement look like, is it pretty clean? I couldn’t find it on their website! Hi Kate, thanks! I get them from Whole Foods (info is right here: http://stonefire.com/our-flatbreads/pita/whole-grain/ (click on nutritional info), and here’s a section about their methods: http://stonefire.com/our-story/#baking-methods). Love those pitas! I love pitas for lunch, I usually have some combination of a leftover sandwich or salad. Pitas/wraps are great for stuffing leftovers in. These are such good ideas, especially since I always find I’m so uninspired when it comes to lunch ha. Thank you! Oh I simply can’t decide which one I love the most. Hmmm… I think #1 and #2 are my faves. Anyway, a great, inspiring post! 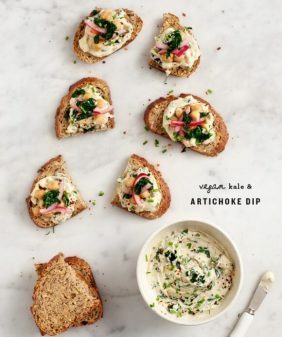 LOVE these ideas, especially that red pepper hummus version! Thank you for posting these easy pita combos. I made the first one tonight for dinner for me and my husband. We were both super impressed with how delicious the simple kale recipe is! I chopped extra apple and put with pb for a side. 🙂 I was feeling ambitious in the kitchen tonight, so I made the pitas from scratch, too (pretty easy if this girl can do it). I’m going to do recipe #2 for lunch tomorrow at work. I’m pretty pumped, especially after reading all of the rave reviews on #2! Hey! Can I change the dijon mustard for something else? 😀 Thanks!